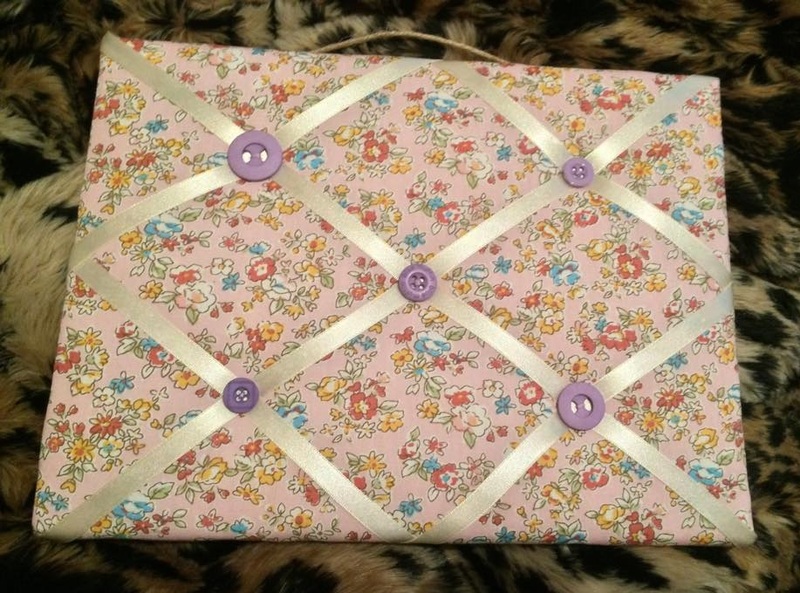 Katie from Katies Handmade Gifts was kind enough to send me one of her pretty memo boards to review! Katie makes lots of different memo boards in various sizes and prints. I chose a pink floral one with purple buttons on it. The handle at the top is twine which is a really nice touch. I absolutely love the fabric, it's very pretty and it's been padded out nicely too. The board itself is of substantial size - it's big enough to pin a fair few things but not too big that it'd take up loads of wall space. I'm pleased with my cute memo board. The vintage floral print is beautiful and it's extremely well made. Check out Katies Handmade Gifts for lots of precious handmade decorations for your home!